How agonists ease agony for heroin addicts. It isn’t the best, the worst, or the only treatment for heroin addiction. But for many heroin addicts, it has been a way out of the circle of euphoria and dispair. In contrast to antagonist drugs, the agonist theory is based on drugs that bind to specific sites and which mimic some of the addictive drug’s typical range of effects. For obvious reasons, this greatly reduces craving. But is it simply a replay of the historical tactic of substituting one addictive drug for another? The most successful use of the agonist theory remains heroin’s most controversial and stigmatized treatment—methadone therapy. Back in the 1960s, researchers at Rockefeller Hospital and The Rockefeller Institute, led by Professor Vincent Dole of Rockefeller University, began a series of studies that led to the development of methadone treatment. They did it on the strength of their belief in the unfolding biological model. “Heroin addiction is a disease of the brain, with diverse physical and behavioral ramifications, and not simply due to criminal behavior, a personality disorder, or ‘weak will,’” wrote Dr. Kreek, one of the principle methadone researchers at Rockefeller. "Repeated ‘on-off’ exposure to a drug of abuse progressively leads to stable molecular and cellular changes in neurons, which alter the activity of neural networks that contain these neurons. This eventually results in complex physiological changes and related behaviors that characterize addiction, such as tolerance, sensitization, dependence, withdrawal, craving and stress-induced relapse. These drug-induced changes are, in part, counteradaptive, and they contribute to dysphoria and dysfunction, which promotes continued drug use through negative-reinforcement mechanisms." Daily methadone doses of 80mg or more exert a definite blocking effect on heroin craving. And patients who use it do not suffer the same lassitude and intensity of cognitive distortions as the heroin addict. 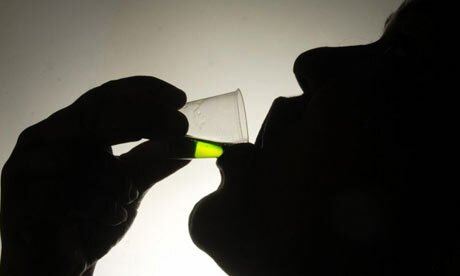 Methadone’s other strength is that it doesn’t mix well with heroin or alcohol. More recently, Kreek and her colleagues, in collaboration with the NIH, used PET scans to watch opioid-receptor binding occur in the living brains of methadone-maintained patients. The brain scans confirmed that methadone leaves a significant number of opioid receptors unoccupied, allowing those regions of the brain to carry out normal physiological roles. “In methadone-maintained patients there is modest occupancy of the receptors but still a lot of available receptors for normal cognition, normal reproductive function and normal stress responsivity,” Kreek reported. Another underreported advantage of methadone is its oral administration, thus eliminating the need for hypodermics and reducing the risk of AIDS and hepatitis from contaminated needles. Provided the dosage is right, patients can be maintained for years on methadone. One reason methadone therapy fails, say researchers, is because of inadequate dosages—but higher dosages are much harder to withdraw from. It's always struck me that society has a perverse attitude towards opiates. We accept that there are people who need to be on every other kind of psychoactive drug long-term. So we have no problem with people taking antidepressants, antipsychotics, lithium, tranquillizers, stimulants etc. for the rest of their lives in many cases. NO! The mu opioid receptor is evil incarnate! Stimulate any other receptors, but stimulate not thou mu receptor, oh foolish one. Poor doctors: they can relieve a patient's pain, but only by... activating the devil's receptor! I'm not sure that the fact that methadone, like all CNS depressants, doesn't "mix well" with heroin or alcohol - meaning that this polysubstance combination increases the risk of overdose and death - is a strength. No,you're right, it's not entirely clear as written. I meant to suggest that the buzz produced by combining methadone with alcohol and other drugs was evidently not as desirable as a high, compared to combining heroin and other drugs. Evidently a methadone speedball just isn't the same. I am a strong proponent of pushing addicts into suboxone therapy. It has way less of the "high" feeling and it only takes a small (.2 mg) amount to bind to many receptors(about 50%).Suboxone is also mixed with an opioid antagonist(nalexone)inducing withdrawal if injected,therefore eliminating potential for abuse. Does anybody have a different view of this? @CSD: Yes, alcohol (and any CNS depressant) diminishes neural signaling in methadone patients which leads to a much higher potential for lethal overdose. Methadone and heroin is even worse, it's pretty much a guaranteed overdose. Suboxone is definitely a wiser option in certain individuals given this, but it would require close psychiatric evaluation and monitoring to work. Not all addicts are the same. This is a ignorant comment! From someone who obviously does not know the facts and hardships of opiod addiction.